Beef stroganoff is hands down one of our family favorite dinners, what’s so amazing about this version is that it’s SUCH an easy beef stroganoff recipe and it only takes 20 minutes to make! 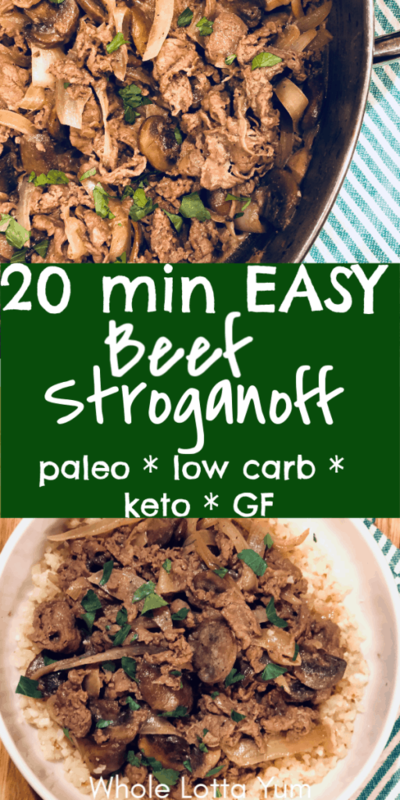 If you’re looking for quick hot dinners, then you’ll love this easy beef stroganoff recipe that’s also a low carb, dairy free, gluten free, paleo and keto beef stroganoff too. 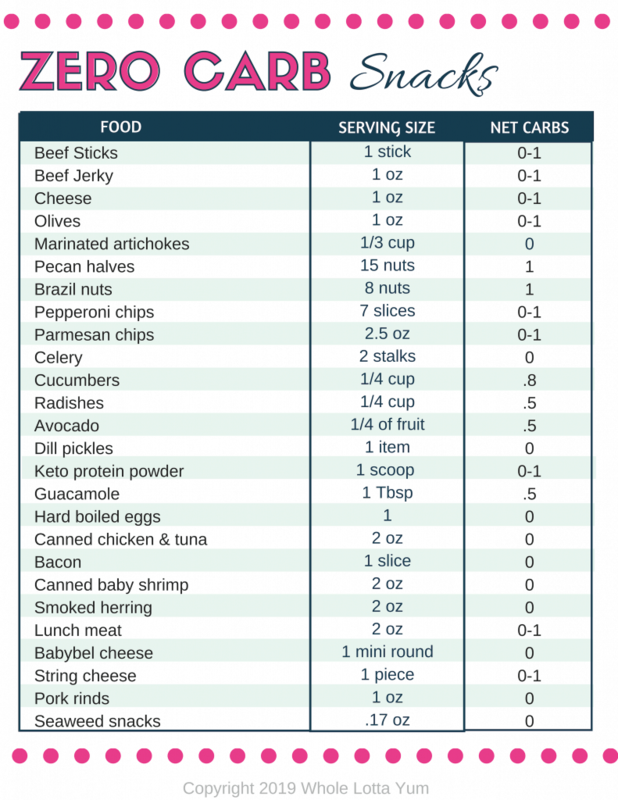 Only 7 net carbs per serving! What’s the secret to such a speedy stroganoff dinner? It cooks in only 20 minutes on the stove top using super thinly sliced shaved beef or stir fry beef that’s already thinly sliced for you! This could also be beef stroganoff with skirt steak or this would make the best ground beef stroganoff recipe if you substitute ground beef. 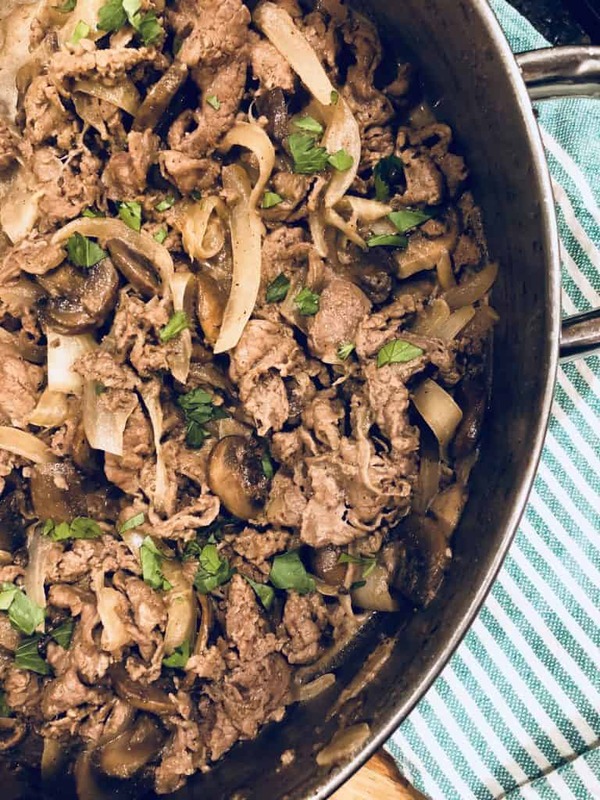 This easy low carb, paleo and keto beef stroganoff recipe is something we make time and time again that the kids devour too. If you’re looking for cold weather recipe ideas, you truly can’t beat this easy recipe that’s perfect when you prefer to eat whole foods and want easy winter comfort food. We highly recommend you double this recipe, otherwise it’ll get gobbled up and you’ll have no left overs! 3/4 c canned coconut milk (this is NOT coconut beverage, but unsweetened coconut milk). You’ll start by using 1 T of coconut oil (or you can use canola or olive oil) in a large pan or dutch oven on medium heat. Saute 1 thinly sliced onion for 5 minutes. Sometimes we’ll use red onions and other times it’d be a sweet onion. I love to cook with sweet onions since they don’t bother my eyes as much as regular white onions do. Add 1 lb of sliced mushrooms to the skillet and cook about 3-5 mins, until the mushrooms are starting to soften. Stir in the salt, pepper and dijon mustard until evenly distributed. Turn up the heat to medium high and add the shaved beef to the same pan as the vegetables. Cook for 5 minutes until the meat is cooked through. 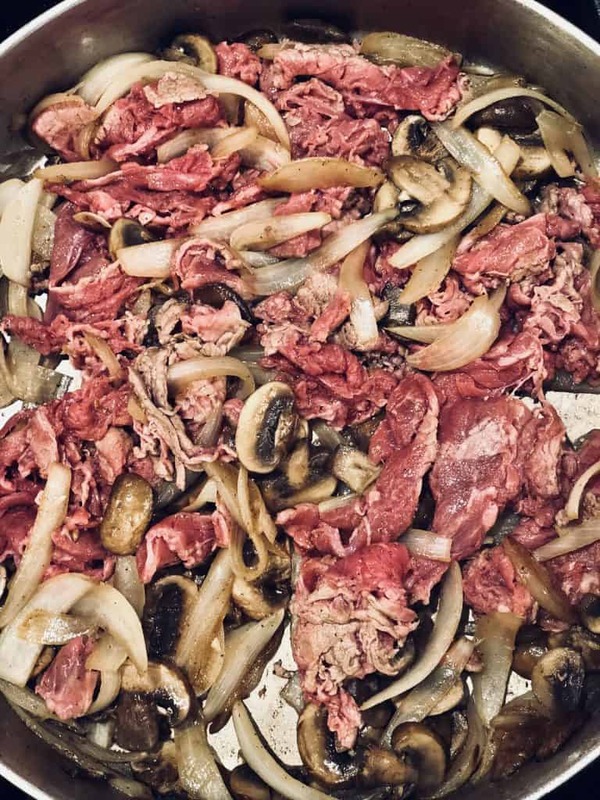 NOTE: If you’re substituting ground beef for the shaved beef/stir fry meat and making ground beef stroganoff, you’ll want to cook the ground beef in a separate pan before this step. Drain the grease and then add it to this easy beef stroganoff recipe at this point. Turn down the heat to medium low and add 3/4 c coconut milk to the beef and vegetable mixture. Regular canned unsweetened coconut milk works best, you can substitute the light coconut milk but the sauce might less thick. Simmer 5 more minutes until all of the ingredients are heated through. Serve the easy beef stroganoff immediately and enjoy! 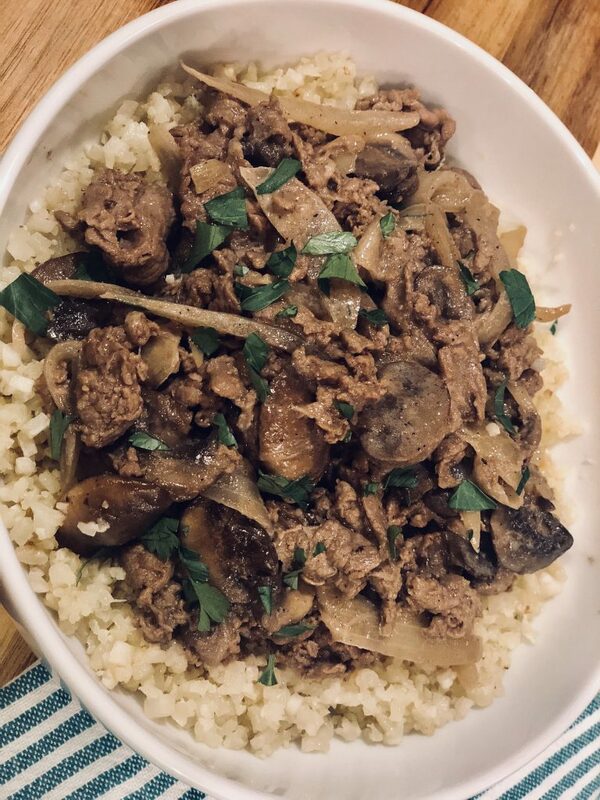 We served this low carb and paleo beef stroganoff with cauliflower rice, but it could also get served with regular rice, egg noodles, rice noodles or gnocchi, depending on your dietary preferences. 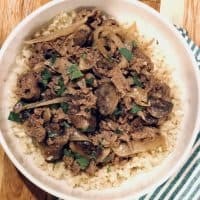 If you’re wanting an easy beef stroganoff recipe, you’ll absolutely fall in love with this quick hot dinner. Whether you just want healthy winter dinner ideas for cozy nights in or are looking for a keto beef stroganoff, gluten free, dairy free or a paleo beef stroganoff, you’ll ABSOLUTELY love this 20 minute recipe! Instant Pot Beer Brats ~ low carb & keto! An easy beef stroganoff recipe that cooks on the stove top in only 20 minutes. 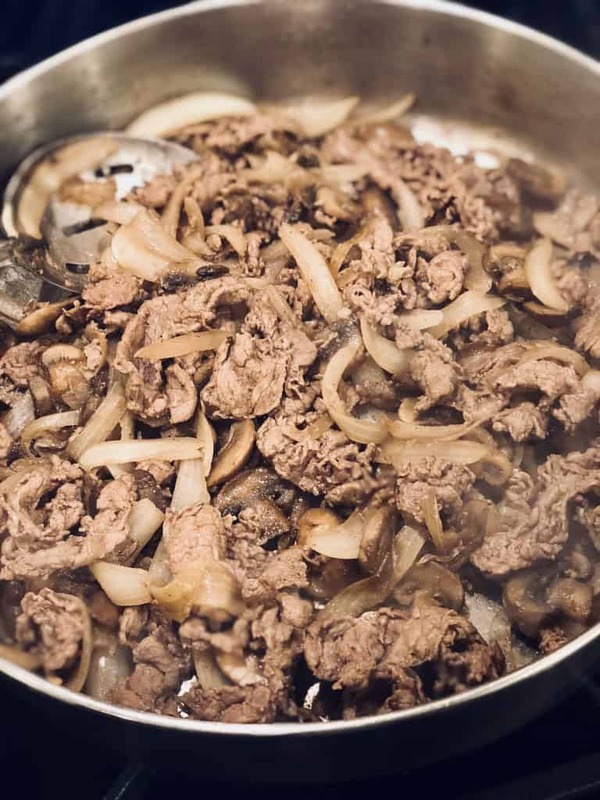 What's even better is this recipe is a low carb, paleo, gluten free, dairy free, and keto beef stroganoff recipe too. Turn up the heat to medium high and add the shaved beef to the same pan as the vegetables. Cook for 5 minutes until the meat is cooked through. If you're using stir fry beef it could take a little longer than 5 minutes. Turn the heat down to medium low and add the coconut milk to the beef and vegetable mixture. Simmer 5 additional mnutes until all of the ingredients are heated through. 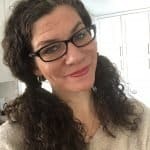 Nutrition information is based on the ingredients I used, it might not be the exact result you get with the brands you're using. 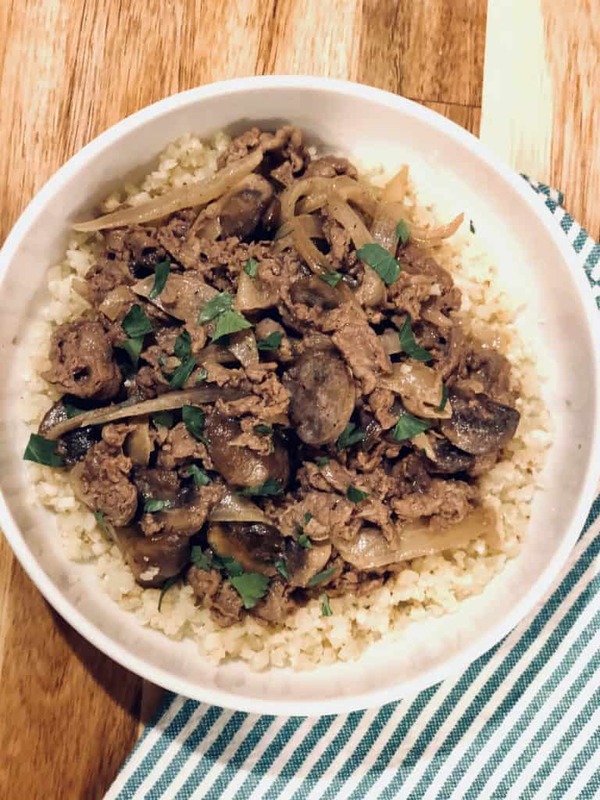 There are 10 carbs per serving and 3 grams of fiber, which makes each serving of paleo keto beef stroganoff 7 net carbs.